The shortage of primary care practitioners in the United States reduces access to care, which is a huge concern for policymakers. As the population continues to age and health care reforms increase access to coverage, the problem is expected to worsen. 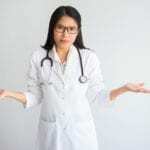 Experts agree that nurse practitioners and physician assistants can provide health care services to medically underserved populations and relieve physicians of unnecessary duties which hamper their ability to adequately manage complex patients. Nurse practitioners fall in the category of advanced practice nursing. They are registered nurses who completed a graduate-level MSN program to provide primary care services. The Arizona Board of Nursing recognizes four types of APRNs: Certified Nurse Midwives (CNM), Registered Nurse Practitioners (RNP), Clinical Nurse Specialist (CNS), and Certified Registered Nurse Anesthetist (CRNA). The Board governs the scope of practice and determines the range of services advanced practice nurses can provide. In areas where nurse practitioners can help to meet the healthcare needs of populations in medically underserved areas, the Board outlines the extent of independent practice. The MSN program offers nursing professionals a direct route into advanced practice. As the pressure to fill management-level nursing positions mounts, graduates will be well-positioned for career placement, reaping higher salaries, better opportunities, and greater responsibilities in the industry. The Master of Science in Nursing (MSN) program provides students with opportunities for advanced study in a specific area of practice. The program requires applicants to have a current registered nursing license in Arizona and a bachelor’s of science degree, associate’s degree in nursing, or a nursing diploma. The MSN student must choose a concentration area – options varies by school. The curriculum prepares graduates for advanced practice roles in practice, leadership, research, and education. At the conclusion of the program, graduates will be able to function as leaders and change agents in healthcare, use scientific evidence to provide safe, cost-effective and innovative practice, and design inter-professional healthcare teams. Throughout the program, registered nurses will develop advanced knowledge and competencies in the areas of administration, informatics, leadership, and patient care. MSN graduates will be critical thinkers, problem solvers, excellent communicators, and inductive reasoners. The clinical experience supports the development of new skills and helps students apply new theoretical concepts in the real-world. Experienced faculty, who may be involved in clinical practice themselves, will provide opportunities for students to develop critical thinking and clinical judgment using a wide range of scenarios. At the conclusion of the program, graduates should have all the necessary skills to function in their role as an advanced practice registered nurse. MSN programs are available in on-campus, hybrid, and online formats. Weigh each option and choose the one that best fits your needs. RN to MSN: A registered nurse with an associate’s degree or diploma in nursing can enroll seamlessly into the MSN cohort after completing transitional courses. Registered nurses can complete the program is two to three years. A bachelor’s degree is not awarded although nurses will complete many of the BSN transitional courses. The RN to MSN is becoming increasingly competitive as RNs can save time and money in their quest to become advanced practice nurses. Applicants should have at least one year’s experience as a registered nurse to apply to the program. Direct Entry MSN: BSN-prepared registered nurses can earn an MSN degree in just two years with full-time enrollment. Arizona’s colleges and universities also give students the option to proceed at a slower pace to balance work and school. A lot of the course content may be delivered online, which further increases the flexibility of the program. Applicants must possess a valid registered nursing license and, at least, one year’s experience in healthcare. Post-Master’s Certificate: The post-master’s certificate is designed specifically for registered nurses who already have an MSN degree. The curriculum helps them sharpen their skills in another focus area. Applicants must have a master’s degree and an active APRN license in Arizona. Each school has specific requirements for enrollment that you should review thoroughly before submitting your application since admission is highly competitive. 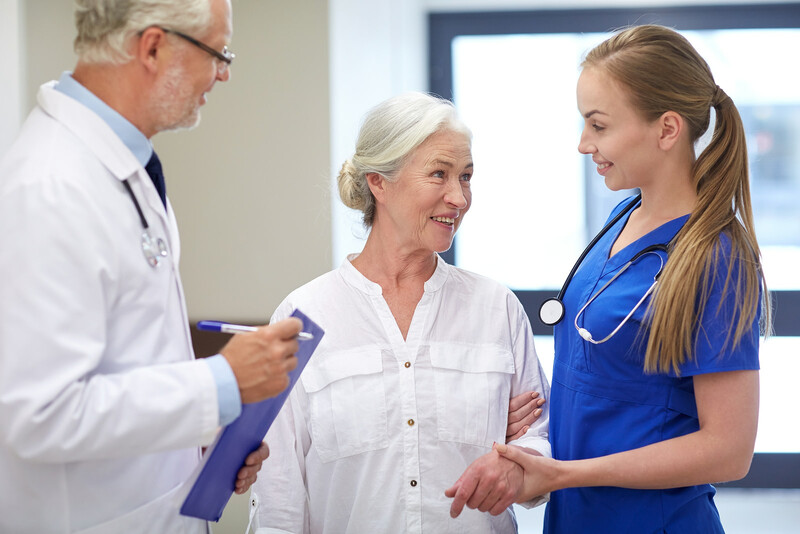 Apart from submitting documentation of your educational abilities to complete the program, you’ll have to demonstrate your commitment to healthcare in your role as an advanced practice nurse. Currently, there are five accredited MSN programs in Arizona, so there may be wait lists for entry. For more options, you should consider the online programs in other states. Following is a list of general requirements for admissions into a standard MSN program. Completion of the nursing department’s prerequisite courses with a grade C or above. A baccalaureate degree or higher from a nationally accredited institution. A completed application for enrollment with the accompanying fee. The application may be available online. A completed application to the college as a degree-seeking, graduate-level student. Complete a personal interview with a representative from the department of nursing. Scanned transcripts of all post-secondary education – sealed transcripts may be required after the admissions reviews the application. Two letters of recommendation from employers or instructors. A current Arizona RN license. Example prerequisite courses, as outlined by the University of Arizona, are general chemistry, anatomy and physiology, statistics, microbiology, human nutrition, and human lifespan development. Your area of concentration will determine other requirements for entry. Submit your application to the college as a degree-seeking student before sending an application to the department of nursing. From start to finish, you’ll easily spend a few thousand dollars to earn your MSN degree. The average cost of completing the MSN program for a direct entry student is $32,000 including expenses for textbooks, clinical supplies, and supplementary materials. Other expenses, such as transport, insurance, and fees will increase the total cost of attendance. Fortunately for graduate students, assistance can come from numerous sources to reduce out-of-pocket expenses. Just like everything else, it takes work to find sources of free money for your education. Federal assistant and grants for Arizona residents will be available in some form if you enroll in an accredited program. Special grants for graduate nurses will also cut your tuition by a few thousand dollars or assistant with common expenses. Start with your employer. Begin the discussion well before you enroll in the program. There may be incentives, such as tuition reimbursement or tuition assistance for advancing your degree. Take note of stipulations. For instance, your employer may have a cap on reimbursement, or it might be contingent on your completing the degree with a specific grade. Investigate resources that are available just for nurses. The American Association of Colleges of Nursing has a helpful list of scholarships and financial aid resources for nurses at various stages of their career. Additionally, you may be able to tap into the Nursing Education Loan Repayment Program (NELRP). Don’t overlook resources that are not specifically targeted to nurses, as there may be a few you can use to cut your education expenses. Private loans and college payment plans and just some other ways to make your college expenses more manageable. Submit a completed application for advanced practice nursing and the non-refundable application fee of $150. Have an existing Arizona RN license in good standing or a multistate license from another compact state. Submit an official transcript indicating completion of graduate-level nursing at an accredited institution and an official letter describing the role and population focus of the program. The transcript and letter should be sent from the program directly to the Board’s office. Provide evidence of national certification or recertification as an APRN in the role and population focus. Provide evidence of completing the practice requirements: completion of an advanced practice nursing education program within the past five years or completed 960 hours or more of practice in the past five years. Submit a completed fingerprint card to obtain a state and federal criminal record checks. The Board will mail a fingerprint card within 30 days of receiving your application. The fingerprint fee is $50. A temporary certificate is available to endorsement applicants upon request. 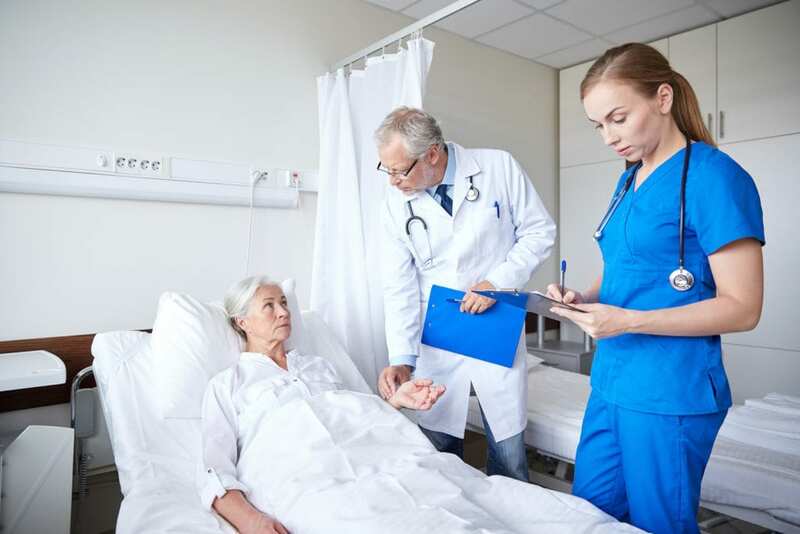 To qualify, you must meet all the requirements for certification and hold a temporary Arizona RN license or a multistate license from another compact state. New graduates may apply for a temporary certificate if awaiting national certification. The Board will not issue a temporary certificate until it receives an official transcript and letter from the school and verification of the candidate’s eligibility to test for national certification. Once issued the certificate expires within 6 months from the issue date or immediately upon failure of the national certifying exam. The temporary certificate fee of endorsement applicants is $50 and $35 for new graduates awaiting national certification. If seeking prescribing and dispensing privileges as a Nurse Practitioner or Certified Nurse Midwife, you must complete question 20 on the application and submit documentation of completing 45 contact hours of education in pharmacology or clinical management of drug therapy within a three-year period preceding the application. The application fee for Prescribing and Dispensing authority is $150. Advanced practice certification must be renewed with your RN license renewal. The AZBN recommends that you renew your license online for instant renewal. Online renewal also helps the state to keep licensing costs low. If you’re on probation, suspended, inactive or retired status, have felony convictions since your last renewal, or don’t have a social security number, you must use the paper renewal, which can take up to 30 days to process. All other licensees should use MY SERVICES to renew online and pay the renewal fee of $160 plus a processing fee of $3.00 using a credit or debit card. The fee covers a 4-year renewal period. The fee for late renewals is $50 per month, up to a total of $200. Secured your advanced nursing degree in the past 5 years. As an advanced practice nurse, you must submit official verification or certification of your specialty and the date of issue and expiration date. The appropriate credentialing agency must submit documentation directly to the Board upon your request. The Board will accept online verification of your certification if available. Notify the Board in writing within 30 days of a legal name change. Submit a copy of an official document to validate the name change.